As the holiday season draws to a close, the start of the new school year is fast approaching. Every new school year presents huge opportunities for children, along with some challenges for parents. As we all deal with the economic climate here are some money tips for back to school season. Try to shop early. 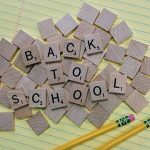 It is too late to be saying this now as some schools start next week, but try not to get caught out next term; ideally parents should have started planning for the school year long before now. When you shop early, without the pressure of time, there’s no rush and you can take advantage of the sales. With last minute shopping, it will be difficult to find discounts. Indeed this is probably the most expensive time to shop for the school year. If there are some items that your child doesn’t need right away or not for several weeks, then you might wish to wait for when unsold inventory is sold at a discount. Most people cannot afford to buy every single thing on the school list. How much money do you have to spend? Set out a budget for school supplies including school books, school lunch, the school bus, uniforms, allowance and so on. Shop with your list, prioritize and stick to it. Going through the school list with your child is an opportunity to teach some valuable money lessons. Talk through the difference between wants and needs. Uniforms are essential and are a constant part of a school-shopping list. Every child would love to have a brand new uniform each year but where there are older siblings who attended the same school, it makes perfect sense to hand them down to a younger child if they are in good condition, even if you can afford to buy new ones. There is nothing wrong with buying second hand if they are in good condition. Allowing your child to get involved in extracurricular activities at school is very important in helping them to develop and nurture their skills and talents to broaden their horizon. But your child cannot take part in every activity; there must be some balance to ensure that they are not under undue pressure. 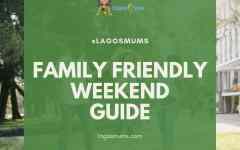 Most family budgets cannot afford more than one or two extras; have your children choose their favorite activities or new ones that they are showing interest in, and look for cheaper options outside school particularly during the holidays. It is tempting to buy a cheap school bag, lunch box or water bottle, but what may seem cost effective now will just fall apart in no time at all. It pays to spend more on good quality, sturdy items that will last for a long time. Children face enormous peer pressure and when they start school and see that their friends have more expensive things, they are sometimes embarrassed. It is important for parents to take the time to talk through these challenging issues as they seek to raise confident well-adjusted children. The school run has become very expensive with the increase in fuel costs. Look into the option of car-pooling for the daily run as well as for extra-curricular school activities, after school events or sports practices. With car-pooling, parents take turns in taking children to the same school; this saves parents money on fuelling and running costs as well as freeing up some time out from the hectic school run. For boarders, car-pooling is also a good option for exeats, visiting days and mid-term holidays. Plan in advance to draw up a schedule with other parents and share the journey to cut costs on long distance travel particularly for schools that are out of town. Today harsh economic climate has left thousands of parents struggling to pay for their children education. If your child is bright and talented, there may be opportunities for scholarships and bursaries, which should be explored. But where you have run your numbers, cut back on family expenses, even sold assets and are struggling to meet your obligations, it is time to have that serious conversation about withdrawing from a particular school and enrolling in a cheaper option. For many parents, earning naira and with children being educated abroad, the exchange rate and availability of foreign exchange makes it increasingly difficult to maintain children abroad. Be careful not to jeopardize your livelihood and retirement plans to pay exorbitant school fees at all cost. It will be worse for everyone if you go broke! To spend thousands, even millions of naira just before the school term starts can be a huge financial strain on any family. With careful planning and budgeting, and a firm acceptance of the current economic challenges, you can look forward to this important event without a shock to the family purse.